Recent articles in the Guardian and Practical Fishkeeping on the environmental impact of keeping fish as a hobby highlight an important issue. Keeping fish may be doing a lot of environmental harm. But there are some ways to mitigate the environmental impact. Buy fish and plants locally through other hobbyists. - This helps eliminate shipping species across the globe, and reduces the demand for aqua-culture facilities, adding to pollution. Your selection may be more limited, but often times you'll find species you may have never found in a store. Reduce the energy consumption of your lights. - This can be difficult, but if possible, reduce the length or intensity of your photoperiod. Opt for less light demanding and maintenance intensive plants. Or, switch to more efficient lights. LEDs are much more energy efficient and are just emerging as a viable alternative. Also, remember that in general, the smaller diameter the fluourescent tube, the more efficient it is. Reduce the energy consumption of your heater. - Turning your heater down a few degrees can save a bunch of money, and as long as your fish can tolerate the cooler temperatures, is great for the environment. Just be sure to do this gradually at no more than a degree a day to prevent stressing the fish. Locating your fish tank away from windows or drafty areas can also substantially reduce the amount of energy your heater consumes. Reduce the energy consumption of your filters and pumps. - Lighting and heaters are often the largest consumers, but pumps run continuously so these must also be energy efficient. Buying an energy efficient filter should be a top priority. Eheim pumps often use 1/2 the energy of other pumps and filters, making them a truly green alternative! Make/grow your own fish food. - Processing and shipping fish food can use a lot of energy, so making your own, or growing a live food source is both cost effective and better for the environment. Live food sources often replenish themselves as well! Compost any plant trimmings you don't replant. - Instead of creating extra trash and having them hauled off to the landfill, compost trimmings to create potting soil. Buy dry fertilizers in bulk. - Shipping around all that water weight takes energy, so buying dry fertilizer powders and mixing them at home is cheaper and better for the environment. Turn down your CO2 injection. - I know, this can be scary and contrary to popular opinion, but there's only so much CO2 your plants can use. Back off on your CO2 injection (if you have it) until you notice signs of algae or slow growth. Also, make sure your diffusion methods are efficient to ensure as little as possible of the CO2 is escaping into the atmosphere. 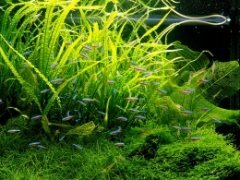 Following some or all of these simple tips will help reduce your energy consumption and help to both save you money and reduce the overall environmental impact of your aquariums. I think we may have gone to the extreme here with "green" aquarium thoughts. If anyone thinks this will make any sort of global impact they are over the edge. Even Al Gore did not have a chapter in his book about this. Lets keep our efforts on where they matter please!! Anonymous, these changes may just a drop in the ocean on a global scale, but they might just make a difference to your electricity bill! Another for the list; seems obvious but I see asked about in forms a lot: put the water from your water changes onto your garden. Your plants will love you for it! Just wondering if you had any suggestions on good LED lights for plat growth. It almost seems like an indoor garden, muchless a planted one, would be inherently energy-wasteful, though. My green solution? Green power. Where I live I can buy "BullFrog power" which is 100% clean wind and solar energy. This leaves me with only CO2 to "worry" about. 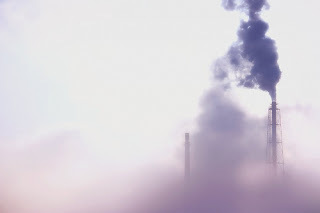 However, at 10-20lbs a year of CO2 injection and considering that driving a car emits between 0.75 and 1.5 lbs per mile traveled, if the CO2 bothers you, walk someplace instead of driving. Skip ONE TRIP to the fish store each year and your CO2 injection is probably negated completely. Also, water into the garden = good, even in the winter as the nutrients in the fish poop and left over ferts (especially from EI) will still be there in the spring.